Michelle Obama understands the importance of having a good group of girlfriends. If anything, she just wishes that her husband Barack had more friends to speak with. "I love my husband, and he is my rock, but my girlfriends are my sanity," she said at the Obama Foundation summit in Chicago on Wednesday. The former first lady said that all the stress, security and craziness that came with living at the White House for eight years made her need her girlfriends even more. "I think women, we do it better than men," Obama explained. "Y'all should get you some friends! Get you some friends and talk to each other 'cause that's the other thing we do, we straighten each other out on some things, our girlfriends." Michelle joked that she wanted Barack to build up a bigger group of friends and she thinks that all men could stand to be a little more open and honest in their friendships together. 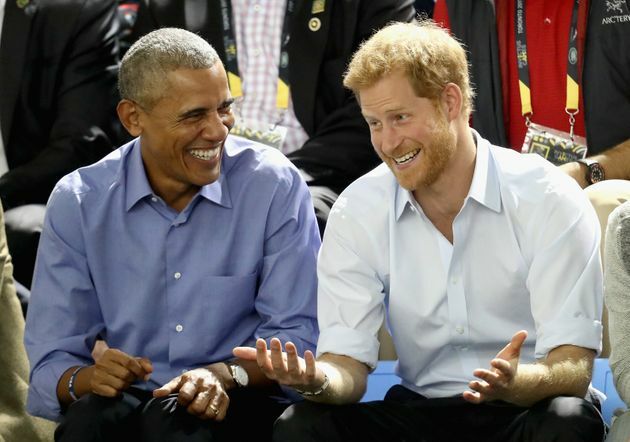 "I just wish sometimes [with] Barack, it's like, 'Who are you talking to?' And it can't just be Marty [Nesbitt, Obama's best friend and board chair of the Obama Foundation]," she said. "I see a lot of men laughing, but y'all need to go talk to each other about your stuff, because there's so much of it, it's so messy! Just talk about why you all are the way you are." During her time at the White House, Obama regularly hosted bootcamp weekends for her close friends ― a tradition she still keeps up today. "My girlfriends have been there for me through all kinds of life transitions over the years – including a pretty big one recently! – and we've done our best to stay healthy together," Michelle wrote on Instagram in June. 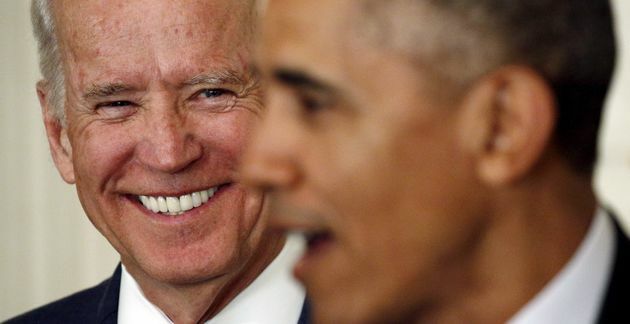 Find someone who looks at you the way Biden looks at Barack. Former U.S. President Barack Obama and Richard Branson sit on a boat during Obama's holiday on Branson's Moskito island on Feb. 7, 2017.